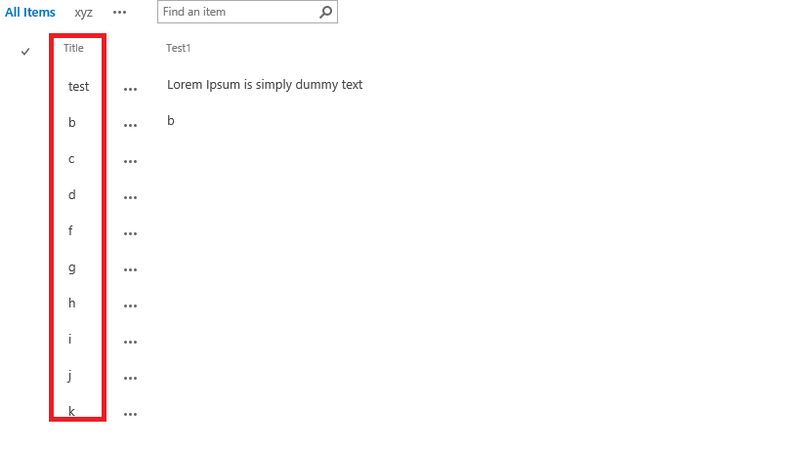 i want to fix first column (ex: Title column) of my sharepoint list view, so that whenever the user scroll horizontally the first column should be fixed. You could use position CSS property with sticky value (doesn't work with IE). You would iterate over the table HTML rows to update row style. What may be even more interesting now is to define some function that would freeze specified fields. Freeze first column in SharePoint List View?